Christopher Paul Stelling began his latest album as a response to the "cultural anxiety" raised by the election. He wanted to document the pain, the beauty, the resilience, and the ugly bitterness he has seen while driving through what many call the flyover states. Itinerant Arias is unintentionally timely. 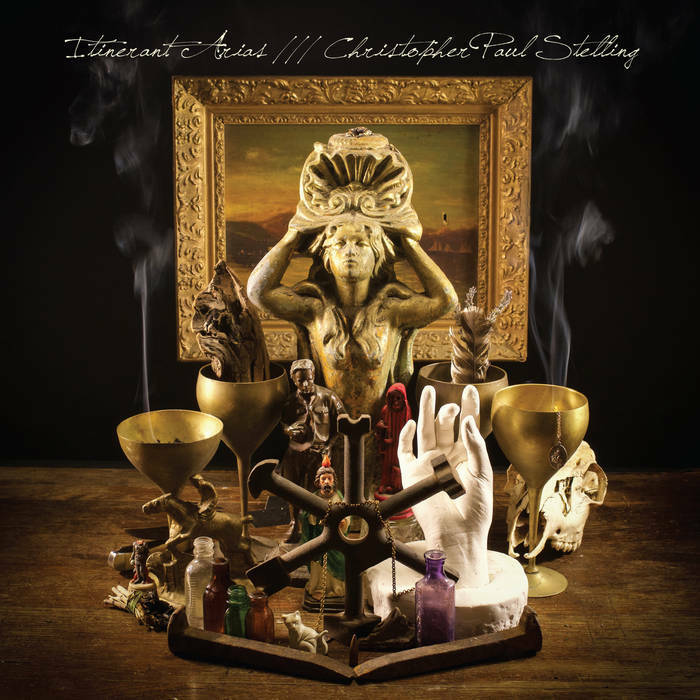 Arias bears the hallmarks of all of Stelling's previous work: virtuosto finger-picking, prescient lyrics, and snake preacher-intense vocals that'll be sure to give you goosebumps. This album, however, has connected with me moreso than his previous work. His songs are so intricate and fragile that it's hard to carry you with them. Meanwhile, in the few playthroughs I've given the album to write this, I find snatches of many of the songs entering my consciousness. The first part of the album serves as an overture to the collection, whipsawing from the comforting lullaby "Destitute," the ominous rumblings of "Cost of Doing Business," the lazy eddying of "Oh, River," and the psychedelic "Day or a Lifetime." This tour de force reminds us of the simple pleasures and deep bitterness against society that uneasily cohabit in most of our hearts. It's a strange, isolation sensation, to be sure, but Stelling's deep warmth, even as he howls his way through indicting the wealthy and powerful, reminds us that the cognitive dissonance is, in fact, human. Though perhaps there are ways to live in which our humanity is better expressed.